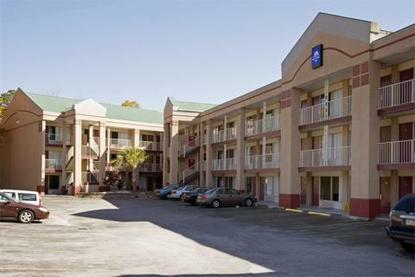 Nestled in the heart of Alabama, on the eastern edge of Jefferson County, the Americas Best Value Inn Irondale is a three story, exterior corridor facility that offers 86 spacious guestrooms. Our attractive and well appointed facility is within walking distance of many fine restaurants. We serve a fresh complimentary deluxe continental breakfast daily. Some guestrooms have Sleeper Sofas, all have complimentary hi-speed wireless internet, refrigerators, microwaves, cable television with HBO, complimentary local calls, and wakeup service. We have fax and copy facilities as well. Our front desk is staffed 24 hours in order to better serve your needs. We look forward to making your stay a memorable and enjoyable experience... . Irondale is a city with over a century of Southern Heritage, it is located just outside Birmingham. The name Irondale was taken from a furnace located just west of what is now the city limits. The furnace was first known as the Cahaba Iron Works, but the local folks always called the place Irondale. The furnace was used to make iron, which was fashioned into munitions for the Confederate Army. The furnace was eventually destroyed during the latter part of the War Between the States. Irondale sits in a valley with Red Mountain to its north and Cahaba Mountain or Shades Mountain to its south and southeast. Nearby area attractions include the Southern Museum of Flight, the Birmingham Botanical Gardens, The Alabama Sports Hall of Fame, the Birmingham Museum of Art, the Alabama Jazz Hall of Fame, the Arlington Antebellum Home and Gardens, the Meyer Planetarium, the University of Alabama at Birmingham, the Birmingham Zoo, the Tannehill Ironworks Historical State Park, and the Visionland Amusement Parks. The book, and later a film, Fried Green Tomatoes, written by Irondale native Fannie Flagg, is loosely based around the town and the landmark Whistle Stop Cafe. Irondale is also the location of Catholic radio and television broadcaster EWTN, the Eternal World Television Network.